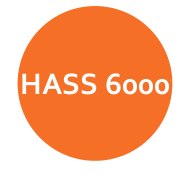 HASS 6000 is a completely wireless system centralized by a Home Automation Gateway that equipped with both ZigBee and Wi-Fi connectivity. The Gateway integrates the Home Area Network using its ZigBee connectivity, while connects to personal mobile devices directly or via a Cloud Server given its Wi-Fi connectivity. Customers could either install the mobile app on their own mobile devices, or choose OWON’s pre-integrated tablet with the mobile app already installed. Meanwhile, the users could also simply use a Mini ZigBee remote controller to control the system. Thus enables consumers to enjoy the system not only whilst in their house but also anywhere else away from home. The system consists of 5 sub-modules (Energy, Temperature, Automation, Security and Video), which is designed in a modular topology allowing each module to be freely added to or removed from the platform. 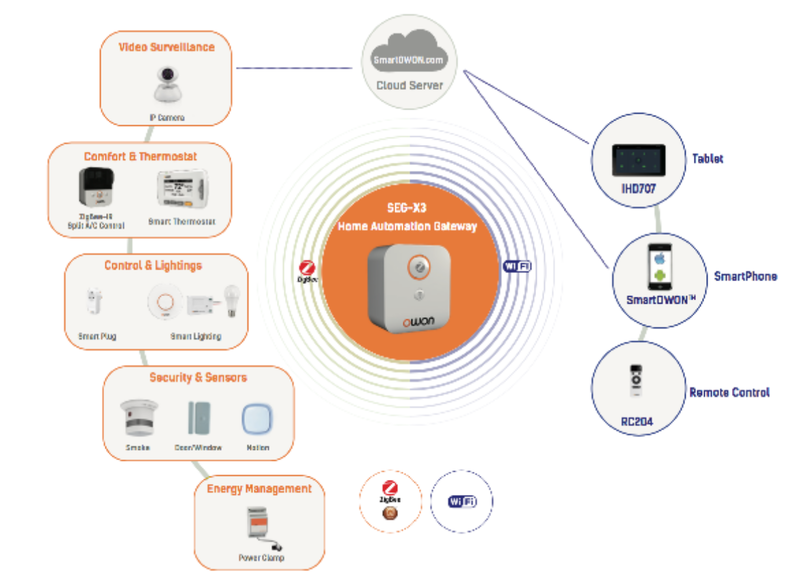 Therefore, instead of a one-time investment, the customers could start their Smart Home migration step by step from any of the 5 Starting Packs and gradually build up an ideal system specially for their home.